The Burford Institute of Music was launched in September 2014 following a request from the County Music Service in Oxfordshire to become a musical hub for the area because of the outstanding music already taking place at the school. Today the Institute shares its expertise and enthusiasm with others across Oxfordshire and offers outstanding opportunities for those with an interest in, and a commitment to, music. As the Institute has grown, students across a range of year groups have had the opportunity, through workshops and masterclasses, to work with major figures in the world of music. Students are regularly involved in composition projects with Dr John Traill, Director and Lecturer in Music at St Anne’s College, Oxford. These have culminated in performances of their works at the Bodleian Library and the Sheldonian Theatre in Oxford and at our Spring Concerts. The Institute, together with the County Music Service provides music lessons for primary students from our Partnership Schools, enabling them to come together each week for shared lessons and to play as an ensemble. 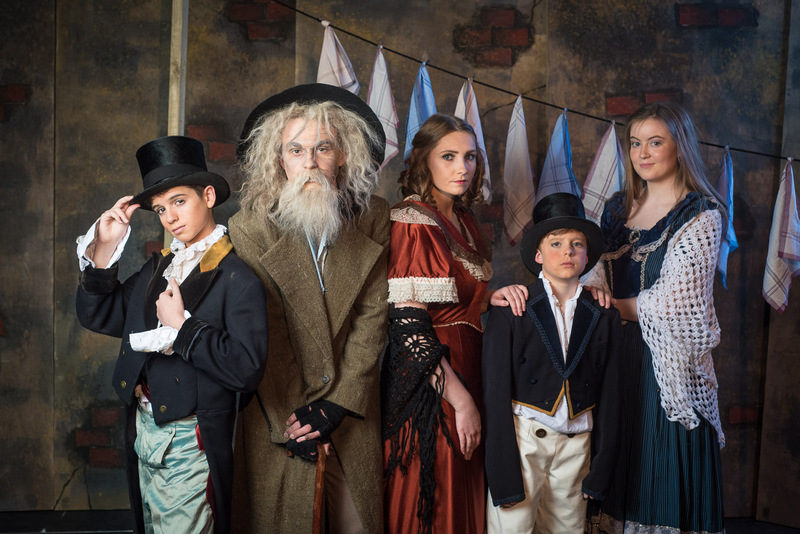 The school has a large number of students studying music at both GCSE and ‘A’ Level and runs a musical programme throughout the year that showcases its individual performers, ensembles and rock bands and the Music Department stages a full-scale Broadway musical every other year. The students are regularly invited to perform outside school. Venues have included the Tower of London, Christ Church Cathedral in Oxford and a number of private functions in the local community. Receiving master-classes from professional musicians. Performing with students from world renowned establishments, such as the Royal College of Music. Attending concerts at prestigious concert venues, such as the Royal Albert Hall to broaden knowledge and experience. Working closely alongside performers at the Lenthall Concerts, with free entry to all concerts in the Lenthall Series. Receiving one-to-one teaching for GCSE composition. Receiving theory tuition for ABRSM Grade 5 Theory and above to enable students to take their instrumental playing to the highest level. attend a series of regular lectures throughout the year at St Anne’s College, The University of Oxford, working alongside university students to hear contemporary music performed, explained and discussed. are sponsored to be part of the Oxfordshire County Ensembles. receive funding to extend lessons on their principal instrument (Year 13 only). 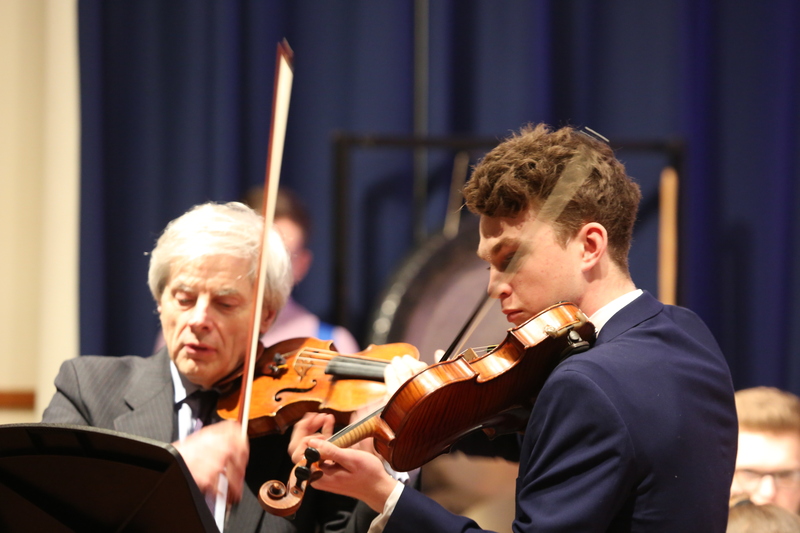 Michael Bochmann MBE ARAM performing with one of our Sixth Form students.